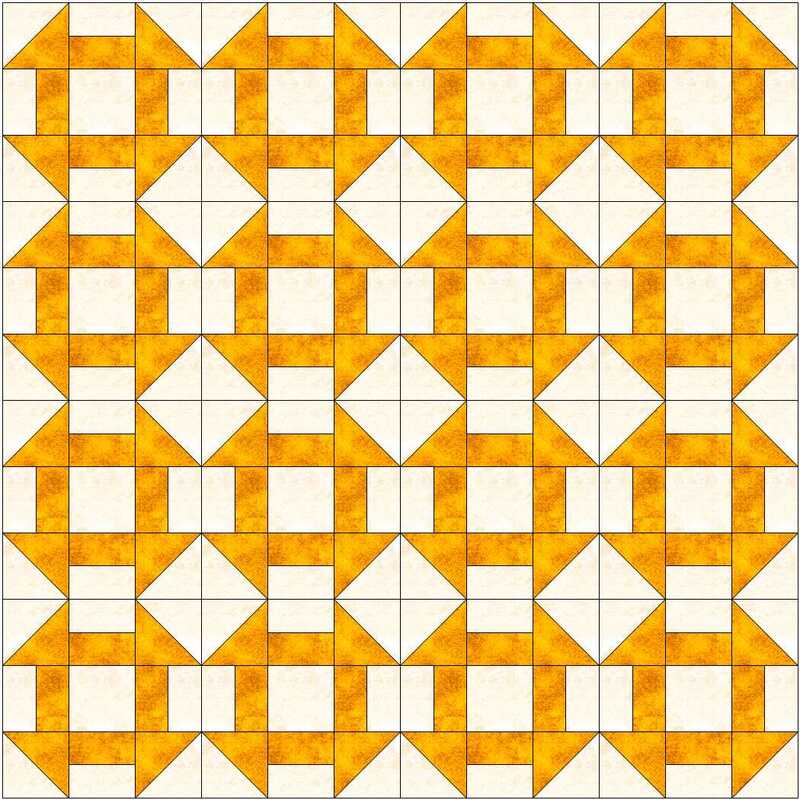 Also known as Monkey Wrench, this block is really simple and can be very effective when used as an alternate block in a two-block quilt. Many different designs can be created from the block on its own however, depending on how you colour it. You can download the instructions here. 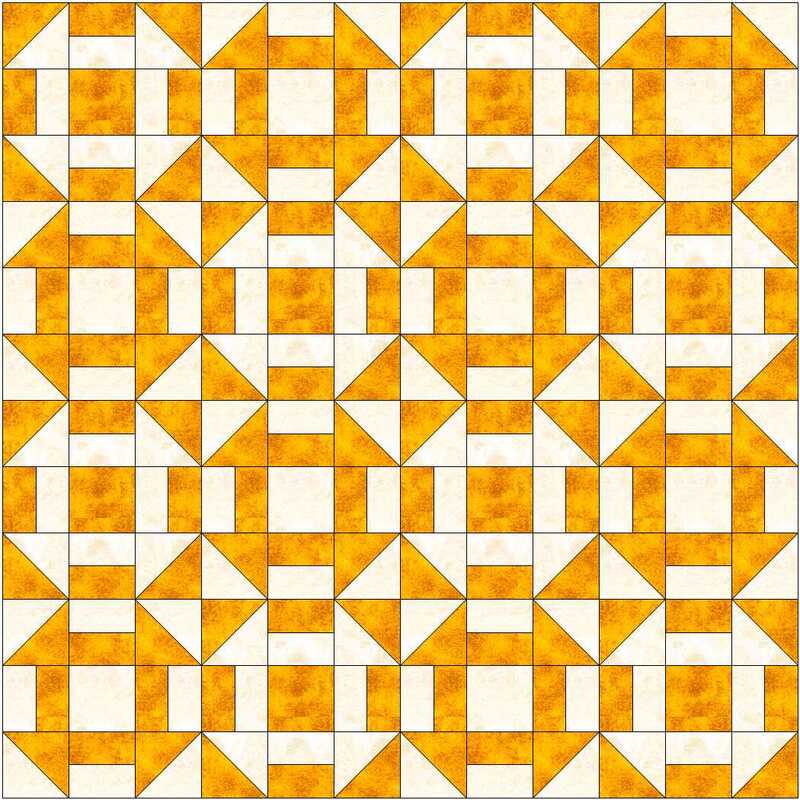 Here are a few quilt ideas using just the colouring above and its reverse. The instructions include quilt colourings other than the ones shown here. 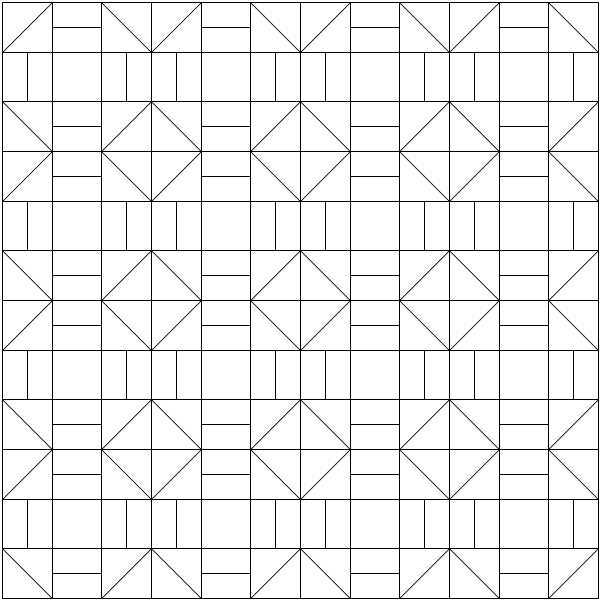 One thing we all enjoy doing is taking a simple block (like this one) and drawing out a blank quilt of, say, a 4 x 4 setting and then colouring it in ignoring the boundaries between the blocks. Why not try it? With this simple block you can also play around with scale. 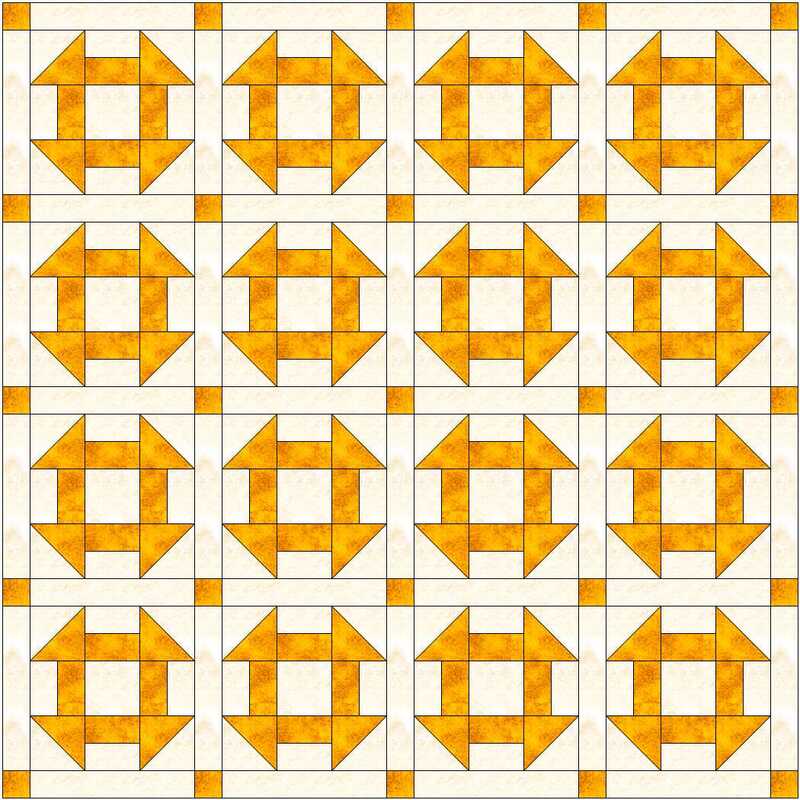 The block has a square in the middle – why not put a small version of the block in this square? 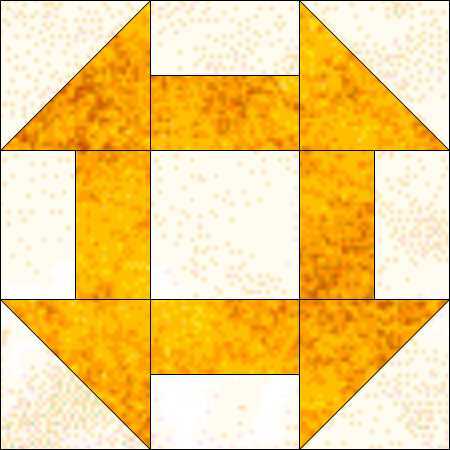 Make the main block large enough and you have a wall-hanging, or even a bed-size quilt. 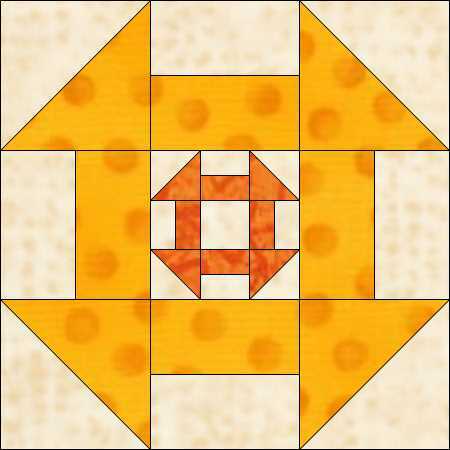 This entry was posted in beginners patchwork, free pattern, machine piecing, patchwork patterns and tagged Churn Dash block, free pattern, Monkey Wrench block, nine-patch block, quilt blocks, simple patchwork on December 8, 2014 by Chris.